Old city walls in Xi'an. Hostel courtyard (restaurant and bar). 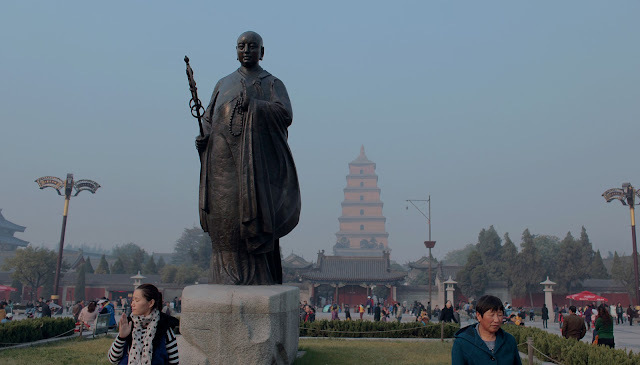 Statue of Buddhist monk Xuanzhang and the Giant Wild Goose Pagoda. Bell Tower in the center of the old city. Some of the night market food we sampled in the Muslim quarter. The vast army of Terracotta warriors. The warriors as they are found when excavated. The site is very much still an active archeological dig. It is still unknown exactly what the soldiers are protecting the emperor from. Perhaps he had the foresight to see the hordes of tourists heading his way. Another overnight train and we arrived at our hostel in Xi'an in the evening. Xi'an, if you don't know (I didn't) has a population of nearly 9 million people. In the center of the city is an old medieval-looking walled-in old city. 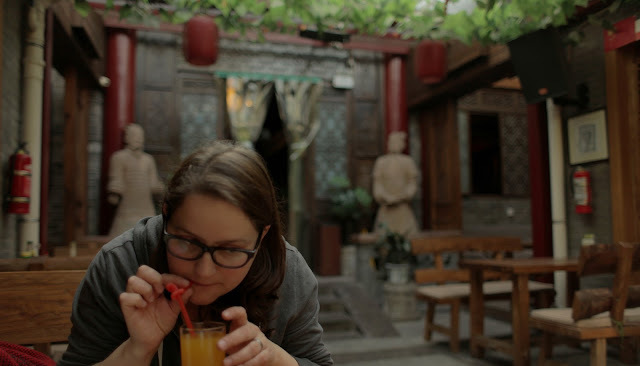 We stayed just within the walls at the Xiangzimin international youth hostel, which is in an 200+ year old courtyard building. The first day, we headed out to the Giant Wild Goose Pagoda and walked around the park that surrounds it. Then in the evening we headed to the Muslim quarter within the walls of the old city. There we found the very lively, chaotic, and exciting night market. We walked through a seemingly endless network of back alleys filled with vendors serving all sorts on mysterious (to us) food items. After sufficiently getting our 'night-market legs' we started picking the more popular vendors and trying some things out. The following day we took a bus, then another bus to see the Terracotta Army. 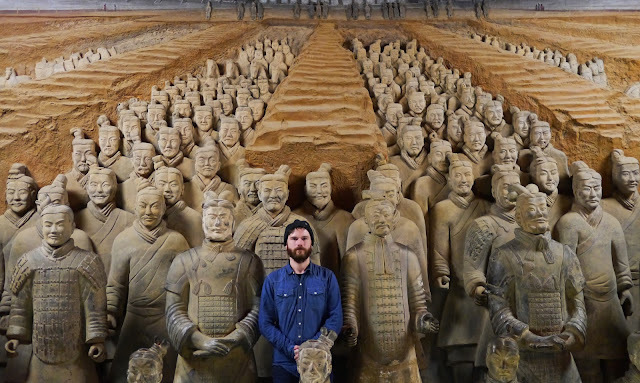 The site, which was discovered in 1974 by local farmers, is now three massive pits of soldiers and horses made of, you guessed it, terracotta. 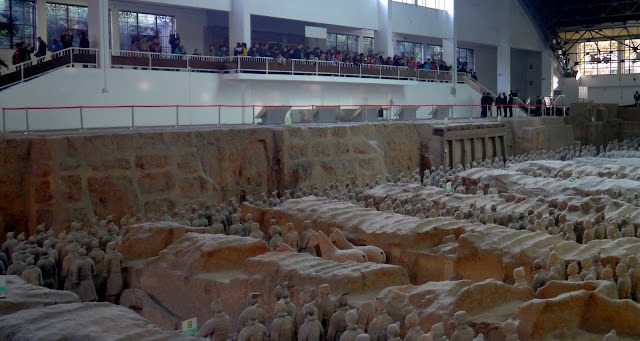 The army is part of the mausoleum of emperor Qin Shi Huang, who was either afraid of what might happen to him in the after-life or convinced he would continue to rule from the grave. The site is still an active dig-site and parts are still being uncovered and reconstructed which adds to the excitement of the place. It was extremely impressive, and kinda creepy.